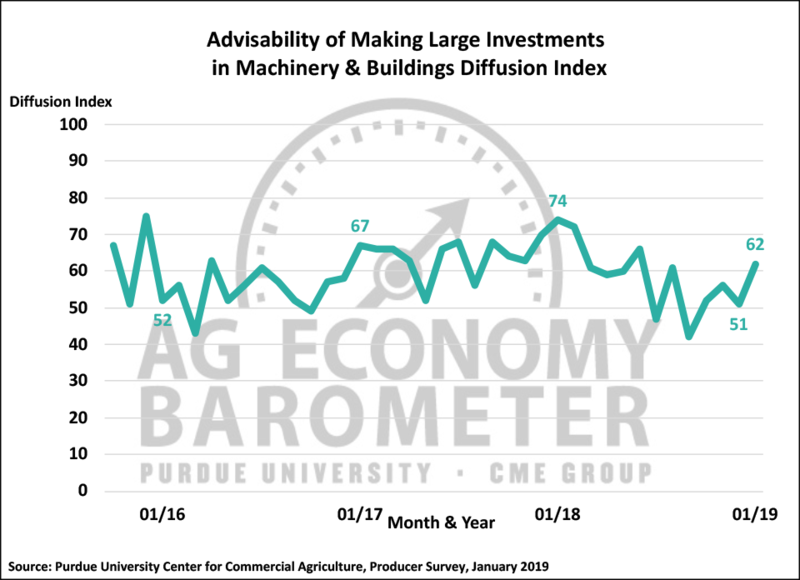 The Purdue University/CME Group Ag Economy Barometer rebounded sharply in January to a reading of 143, a 16-point improvement compared to December and the highest Barometer reading since June 2018. The January survey provided the first opportunity to measure farmer sentiment following USDA’s announcement that the second round of Market Facilitation Program(MFP) payments would be made to soybean producers and it was also the first survey taken following passage of the Agricultural Improvement Act of 2018 (2018 Farm Bill), both of which appear to have helped boost farmer sentiment. In particular, total MFP payments (first and second installments, combined) to U.S. soybean farmers were estimated by USDA to be about $7.3 billion, providing a significant revenue boost to most Corn Belt farming operations. Figure 1. 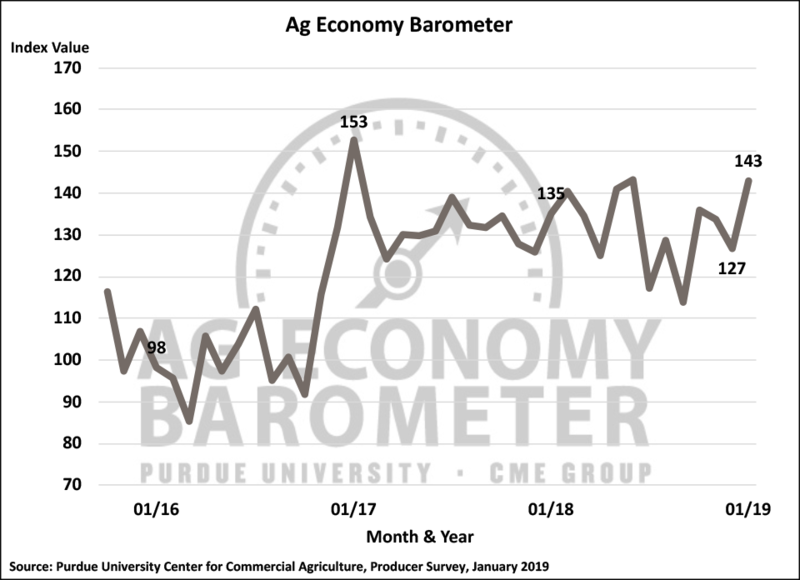 Purdue/CME Group Ag Economy Barometer, October 2015-January 2019. Figure 2. 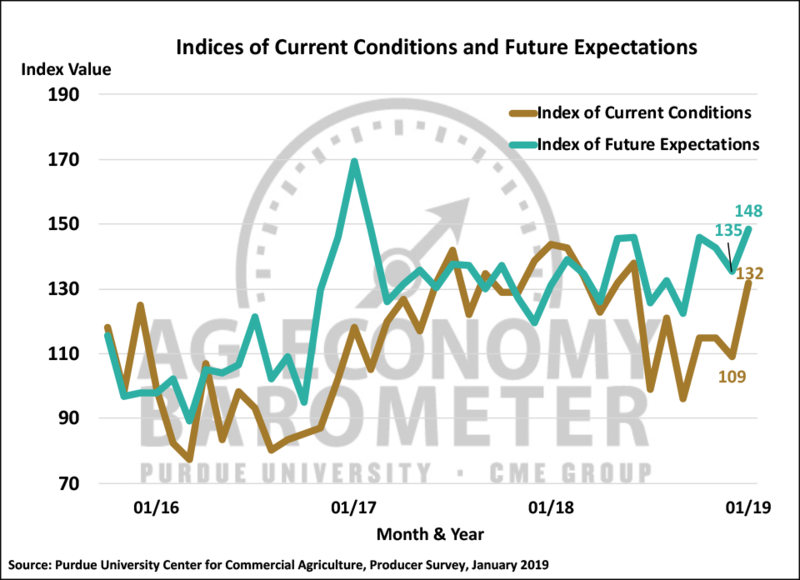 Indices of Current Conditions and Future Expectations, October 2015-January 2019. Figure 3. Large Farm Investment Index, October 2015-January 2019. Figure 4. 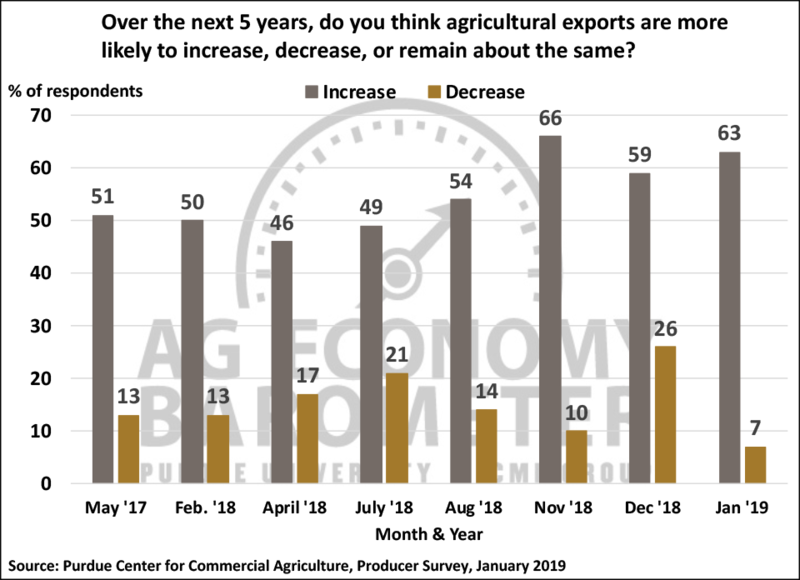 Over the Next 5 Years, Do You Think Agricultural Exports Are More Likely to Increase, Decrease, or Remain About the Same?, May 2017-January 2019. Figure 5. 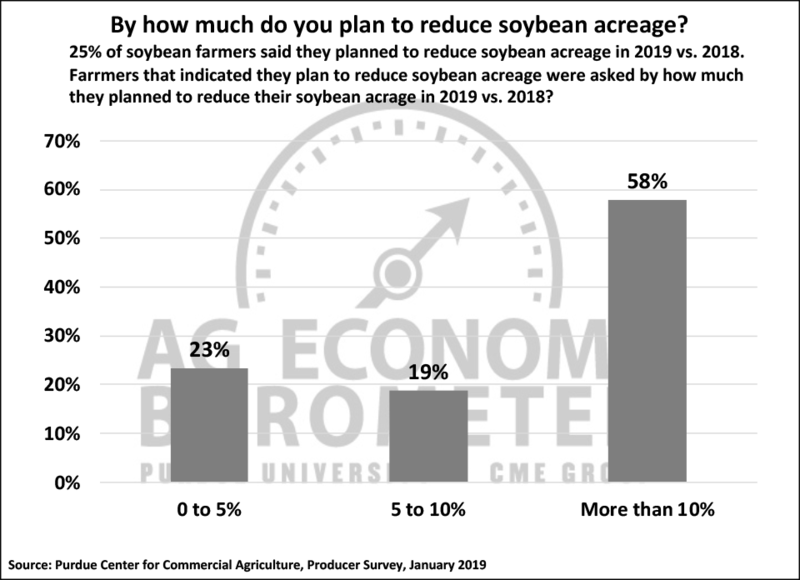 Planned Change in 2019 Soybean Acreage vs. 2018 by Soybean Farmers That Plan to Reduce their Soybean Acreage, January 2019.